SCOTTSDALE, Arizona – August 21, 2018 – Angel MedFlight Worldwide Air Ambulance Human Resources Director, Shelley Schlossberg, was awarded the Bronze Stevie Award for the Human Resources Executive of the Year in the third annual Stevie® Awards for Great Employers. More than 550 nominations from organizations in 21 nations were submitted this year for consideration in a wide range of HR-related categories, including Achievement in Workplace Safety & Compliance, Employer of the Year, Chief Human Resources Officer of the Year, Human Resources Team of the Year, and Employee Relations Solution Provider of the Year, among others. Angel MedFlight’s Human Resources Director, Shelley Schlossberg, was named a finalist in the category for Human Resources Executive of the Year. 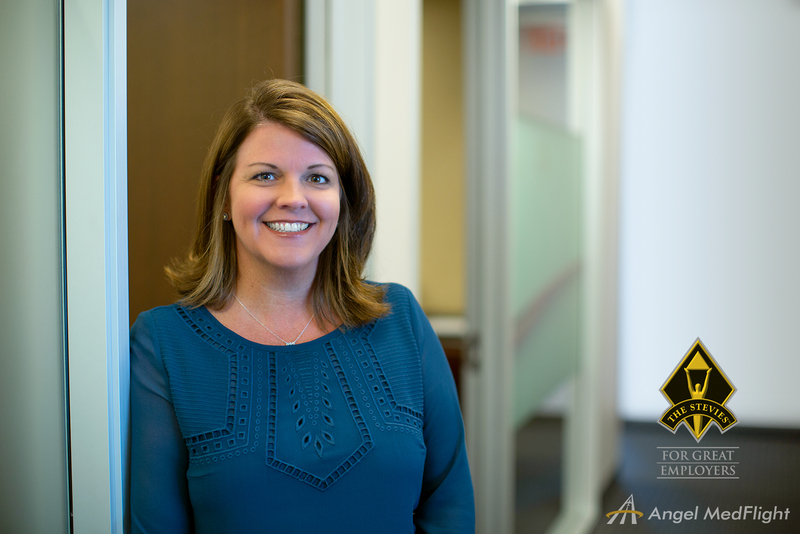 “Shelley has helped mentor leaders and develop an amazing culture across our company throughout her tenure. She is the cultural sail that has kept the ship moving forward. She is the glue that helps department leaders hold it together and strategize when issues arise from the tremendous growth and changes we have endured. She helps lead the charge to guarantee our employees – at every level – are heard, represented, and tethered to our vital mission of helping patients get the life-saving care they so desperately need. We are lucky to have her on our leadership team,” said Andrew Bess, President and Chief Operating Officer. More than 60 professionals worldwide participated in the judging process to select this year’s Stevie Award winners. 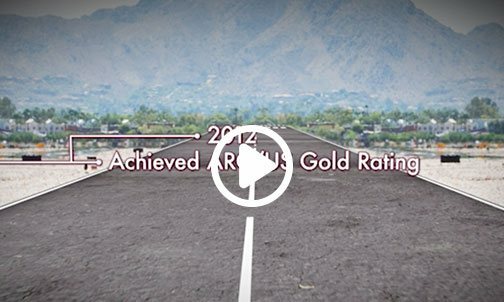 “The judges were extremely impressed with the quality of entries we received in the third annual Stevie Award for Great Employers. The dedication the Stevie Award finalists have to making workplaces great for employees was evident in every nomination,” said Michael Gallagher, president and founder of the Stevie Awards. Details about the Stevie Awards for Great Employers and the list of 2018 Stevie finalists are available at StevieAwards.com/HR. 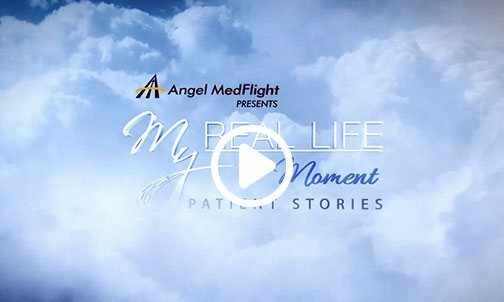 Angel MedFlight Worldwide Air Ambulance Services partners with healthcare providers to safely transport patients from anywhere in the world for the life-changing care they need. Our in-house patient advocates manage the complete insurance preauthorization process, and our team of flight coordinators are available 24/7 so patients can reach the highest quality of care as soon as possible. 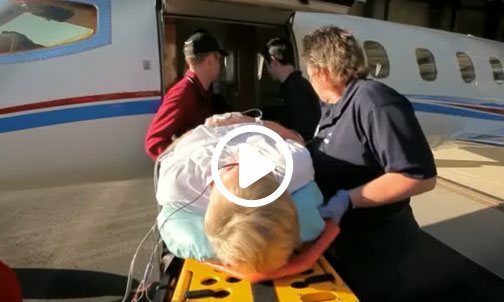 Angel MedFlight and their aviation Part 135 partners use a Learjet fleet of medically-configured aircraft for critical care and smoother, faster travel. 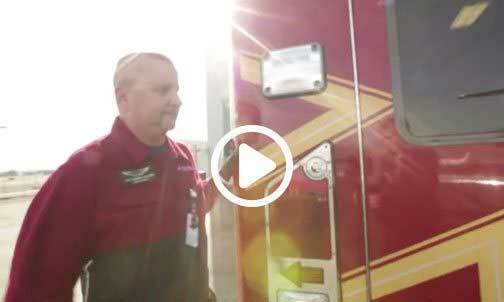 Visit AngelMedFlight.com to learn more. The Stevie Awards are conferred in seven programs: the Asia-Pacific Stevie Awards, the German Stevie Awards, The American Business Awards®, The International Business Awards®, the Stevie Awards for Women in Business, the Stevie Awards for Great Employers and the Stevie Awards for Sales & Customer Service. Stevie Awards competitions receive more than 10,000 entries each year from organizations in more than 70 nations. Honoring organizations of all types and sizes and the people behind them, the Stevies recognize outstanding performances in the workplace worldwide. Learn more about the Stevie Awards at StevieAwards.com.